"Vega, Altair. 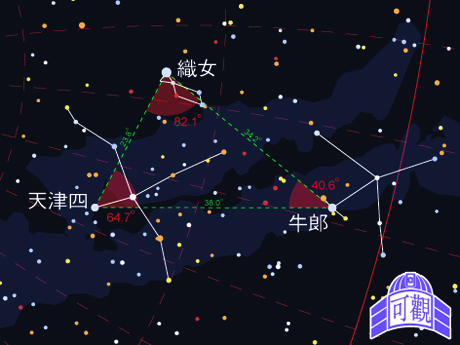 And Deneb form the famous 'Summer triangle', with a right angle at Vega. All navigators know it. It is easy to find." Joe Rao. 2005. “Doorstep Astronomy: The Summer Triangle.” From SPACE.com. David Nash. 2006. “Calculating Precise Long Term Stellar Motions.” From The Astronomy Nexus.